This year, a team of South Korean high schoolers took first place overall at the International Mathematical Olympiad (IMO), edging out China and Vietnam, which took second and third place, respectively. 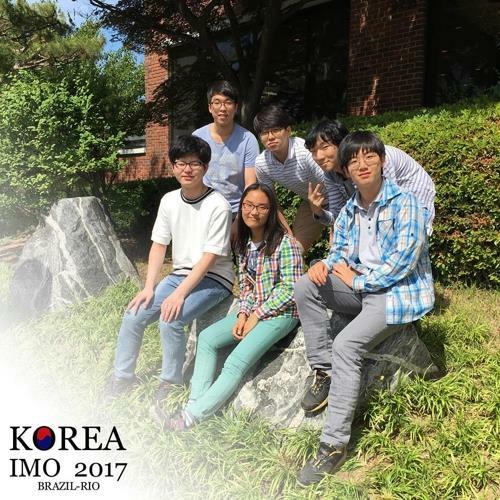 All six Korean students earned gold medals, with three tying for seventh place. The competition took place in Rio de Janeiro, Brazil, where competitors from 111 countries solved six non-calculus problems worth seven points each over the course of nine hours. But don’t let the fact that calculus is not required fool you; the problems require both math knowledge and ingenuity that rivals any mathematician with a doctorate degree. This is not an exaggeration; in 1988, after much deliberation, the IMO committee chose to add a problem that was so difficult that Australia’s top math professors were unable to solve the problem within six hours. But IMO competitors were not deterred. Eleven students solved the problem perfectly under a tighter time limit and somehow managed to invent a brand-new problem-solving technique along the way. This year’s test appears to have been unusually difficult; only two students in the world managed a perfect solution to the third problem, and only seven were able to offer a solution that earned any credit whatsoever. Many of these students will be shoo-ins to top technical universities across the planet and will eventually become math professors and researchers, advancing the heavy-duty theoretical work that undergirds our digitized modern world.